Sadly, it took me several long moments to do the math: 2014 minus 250 equals what? 1764? Even more sadly, I had to check my math on the internet. Lucky thing I did because I found a demoralizing tidbit. 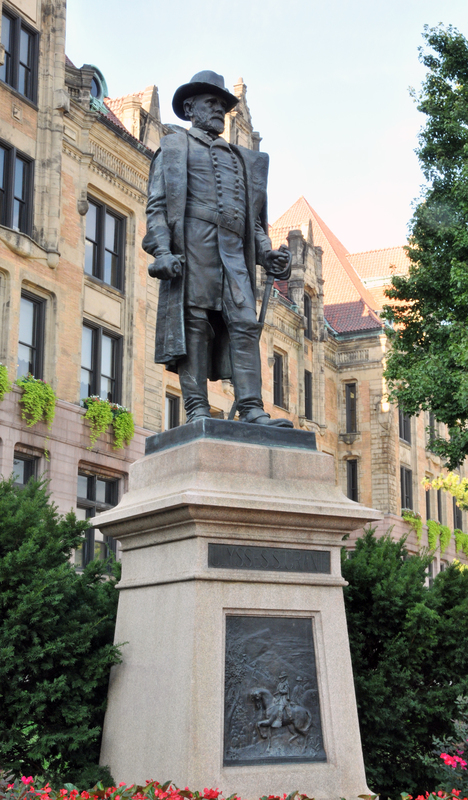 Did you know the first one off the river boat on the momentous day of St Louis’s founding was a 14-year-old boy? A French boy, to be more precise, one Auguste Chouteau. 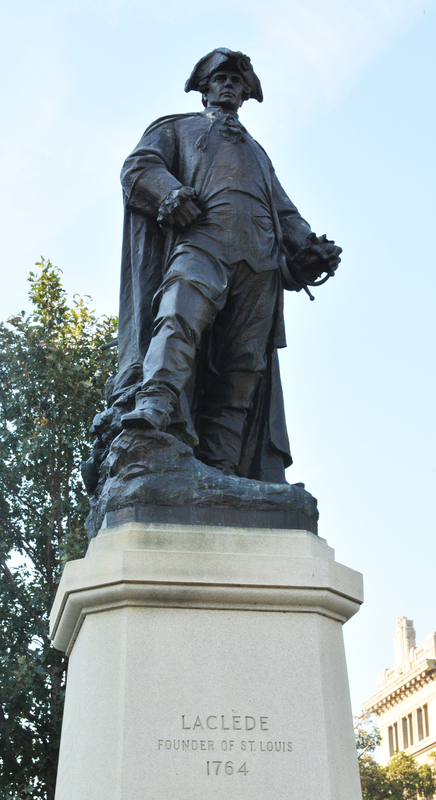 There were Indians in the wilds of Missouri then, deadly currents in the big muddy Mississippi, and just a whole lot of scary things lurking between St Louis and civilization, and here Auguste was, a mere child really, out claiming the world for Laclede, Maxent & Company of New Orleans. And what was I doing at the age of 14? Probably watching Brady Bunch reruns. I am not worthy. I did do a little solo exploration through downtown St Louis a few weeks back though, looking for a Starbucks that never materialized, and I have the pictures to prove it. Auguste may have been the first one off the boat, but Laclede got the glory. After you’ve seen this statue head for Laclede’s Landing, an historic few blocks of cobblestone roads, centuries old buildings, and unique restaurants. It lies at the upper end of the Jefferson National Expansion Memorial (otherwise known as the park with the Arch) and makes a great spot for a burger and beer. What does the S stand for in Ulysses S Grant? Apparently it stands for St Louis. Grant’s Farm turned 60 this year, just to add to the celebration. 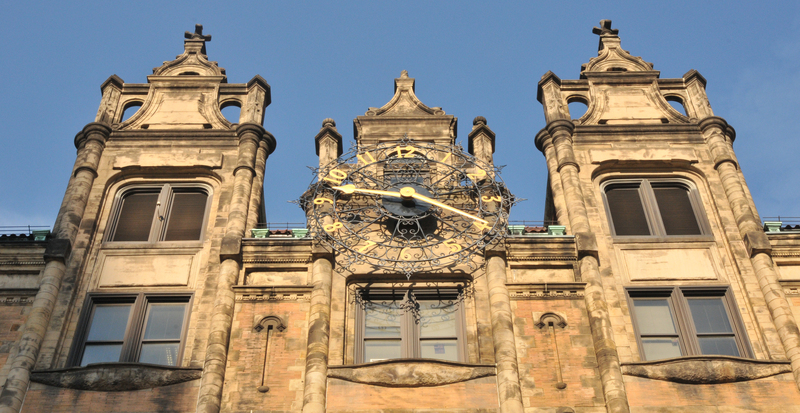 We’ve driven by this building several times and never knew what it was, but apparently this clock ticks the time away on Old City Hall. Please tell me there’s a hunchback living deep in the bowels of this creepy place. If only Auguste could see his trading post now. 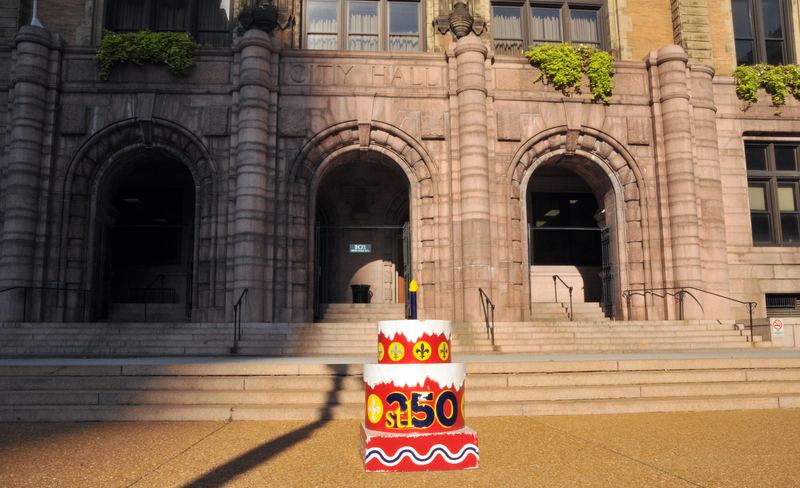 Happy Birthday, St Louis. And peace. As a former St. Louisan, I am ashamed I don’t recall seeing the statues of the old guard traditional guys in bronze. I will look for them. I think they need a little more variety. There are a few hidden sculptural gems in Forest Park too. I’ve seen some of your St Louis photos, Rudy, and they put mine to shame. I swear those statues are really there, though. Thanks for stopping by!